HR practitioners globally are looking for the recipe to the employee engagement strategy secret sauce. In their search for answers, professionals may turn to an internet search engine, examples from other companies, and even technology solutions. But sometimes, the best place to look is internally at the common sense actions they are already undertaking. Why do HR professionals focus so much on employee engagement? Engaged employees will always be more productive than those who are not engaged. There will also be increases in efficiency among engaged employees. Those who are not engaged are more prone to be destructive and inefficient in their day-to-day activities. The problem is not all HR professionals know where to start when it comes to creating a solid employee engagement program hence the statement above notating potential avenues for answers. What was also stated is answers often lie inwardly. And the program doesn’t have to be overly complicated at the outset. Start simple and rely on the collective common sense of the HR department personnel. In fact, that is the number 1 item on our list of 10 common sense best practices when it comes to employee engagement. Most HR professionals got into the business of HR because they are people persons; they engage easily and frequently with others. Their ability to engage with others can be the backbone the program needs to function. These individuals are already leading by example when it comes to engagement. Allow them to offer real ideas to increase employee engagement on a larger scale. In any relationship, personal or professional, people want a connection. As such, it should not be a surprise when employees put more trust in a leader they know on a personal level of some sort. Being open, better yet, being human and sharing that with employees will put a lot of power into those employee engagement batteries. Not everyone performs at tip top condition. Sometimes there are going to be moments these individuals need help. Some will require more than others. These employees are often those who just started with the company and need some assistance on how to navigate their new responsibilities. Now, help doesn’t always translate into “problem solved”. It does, however, translate into the idea that a leader or HR professional cares enough to offer assistance. High performers can often be the inspiration for driving engagement from others. These employees are already achieving goals set for them and turning heads in the office. For some employees (those not considered high performers) will look to those people as the example for how to succeed. Others will look to high performers has a way to engage in healthy competition; as people who “need to be surpassed”. High performers, though, also need to be encouraged. Reward and promote them when possible. They will help the organization progress forward. No employee wants to work in an environment that appears to be stuck in the past or doesn’t create growth. An innovative work environment must encapsulate all that is the company’s philosophies. How does one do that? If possible, consider improving the layout or the appearance of the office. Keep it simple. Maybe desks can be moved about a bit? Maybe some decorative greenery or flowers can be added? Maybe some paint? Anything that HR can do that adds to the comfort of the office will help increase engagement. Also, make sure to ask for feedback from employees too. It’s another way to inspire engagement and allows them to take ownership of the change. Employees who aren’t allowed to be themselves will be less engaged overall. The same can be said for employees who just feel like “another number” during their work day. If possible, allow employees to work at the pace they choose. Again, if possible, allow employees to work from home or to come and go as they please. As long as their work is getting done, this can have a great impact on employee engagement. A lack of communication is one of the biggest barriers in the professional world. It hurts employee engagement levels plain and simple. If employees feel they cannot speak their minds on issues, their needs or management, expect employee engagement to be extremely difficult. It’s a fairly easy issue to address too. Simply, be transparent. Show employees that leaders are willing to listen and act on issues or ideas that warrant action. 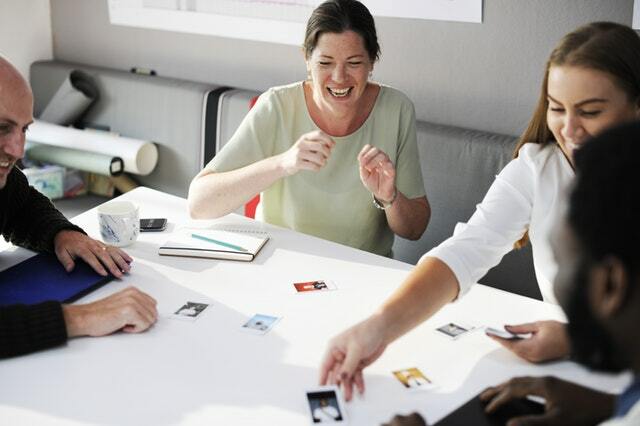 If an employee isn’t interested in their work, the company, or engaging with others there is no way they are going to help the success of the employee engagement program. It doesn’t help that some work is dry or monotonous by nature. Try to find ways to enhance the interest in coming to work. Look for opportunities to inject fun into the mix. This will increase employee engagement because there is more interest on the part of the employee. Rome wasn’t built in a day. In other words little steps toward a more engaging atmosphere will benefit the workforce. Practice employee engagement daily. Consistency is key. As the program is monitored, make little changes where necessary. There’s nothing wrong with making minor course corrections. Bigger changes can make employees uncomfortable and can stifle engagement. Again, being consistent can make all of the change in the world. Creating or making improvements to an employee engagement program do not happen overnight. It takes time, sometimes a lot. That doesn’t necessarily translate to it being difficult. Again, stay focused on the program, make sure progress continues, and don’t be scared to make changes. The pay-off is worth it. Images courtesy Stock Photo Secrets and Pexels.